Is your car not riding as smoothly at high speeds? Does your car tend to steer to one side or you are having to correct your steering more than usual? Have you spotted uneven wear on your tyres? If you have noticed any of the following, it might be worth giving us a call. All of these can be signs of alignment and balancing issues with your wheels. If left unfixed they can, over time, cause issues to major components such as your suspension or wear down your expensive tyres far too quickly! Yet, the solution is very cheap to do and can save you a lot more time and money further down the line. We highly recommend getting tracking and balancing checked and remedied at least once a year as with Britain’s bumpy roads, it is quite likely that your car will need this little TLC to keep it running smoothly. 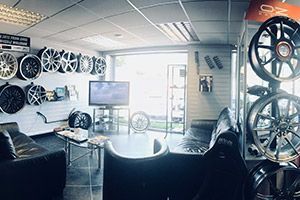 If you require advice or would like to book your vehicle into our workshop, call us today on 0208 598 9115.